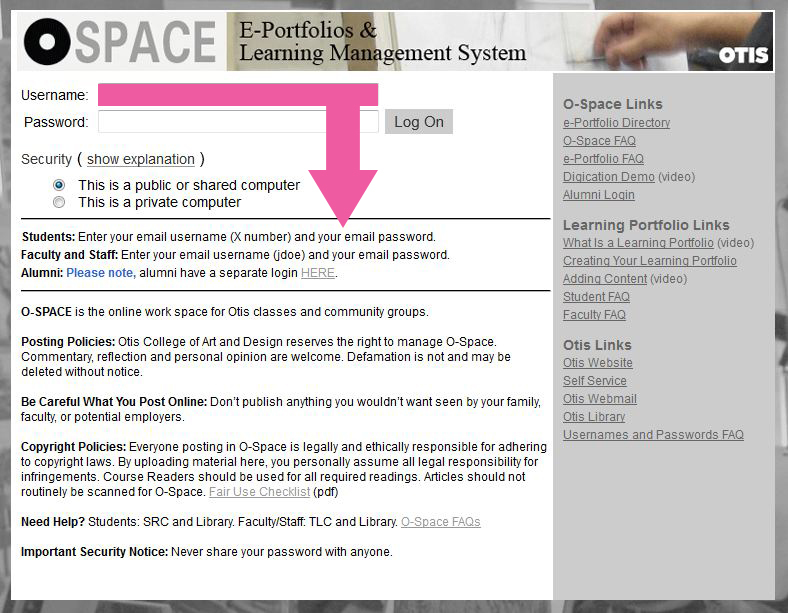 O-Space is the Otis College Learning Management System (LMS). A course area is automatically created for classes offered in the BFA/MFA program under "My Courses" and populated with the instructor-of-record and enrolled students. The Library manages O-Space and trains users. If you need assistance, please contact our helpful staff. Check that you are using the right username and password to access O-Space. If you receive a red error message about ISA Server, either you have entered your credentials incorrectly OR your account has been locked. Check that you are entering the correct credentials. If your account has been locked (usually due to unsuccessful login attempts into O-Space or Otis College email), try unlocking your account with the Password Manager in the Dashboard (my.otis.edu). Students - technicians in the Computer Lab (Ahmn 401) can reset your password for you. Important: If you change your password and have synced your Otis College email on another computer (e.g. you personal laptop) or on a tablet or smartphone, you must update those settings immediately on all devices. Otherwise, the other device(s) will try to log into your account with the old password and lockout both passwords. 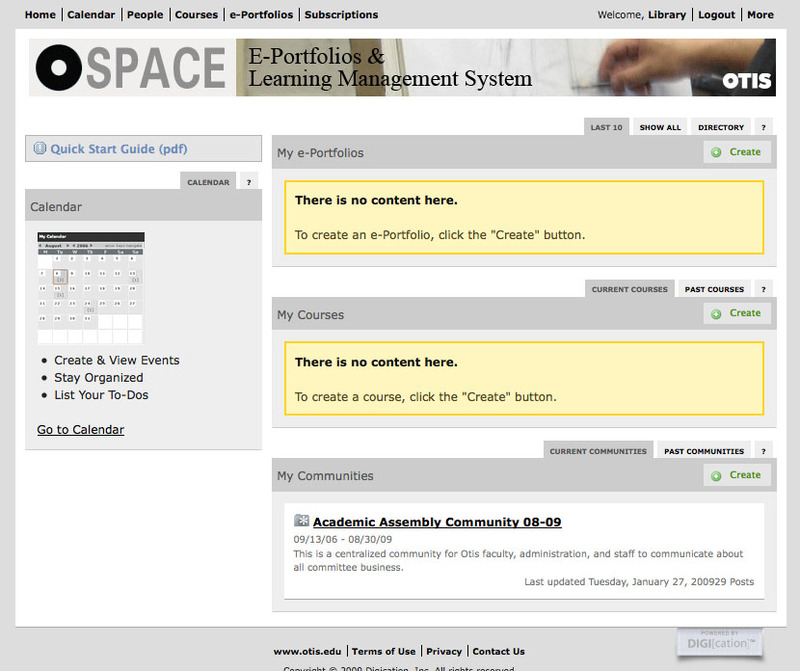 Current students, faculty, and staff, quick access to O-Space is available through the Otis College Dashboard. If you forgot your access information to login, please contact helpdesk@otis.edu or go to room 401 in Ahmanson. If this is your first time logging into O-Space, make sure you agree to the terms and conditions. Students can drop by the Student Learning Center (SLC) room 100 E in the Library. Tutors can assist you with basic O-Space questions. Faculty are welcome to schedule an O-Space Tutorial workshop for class.